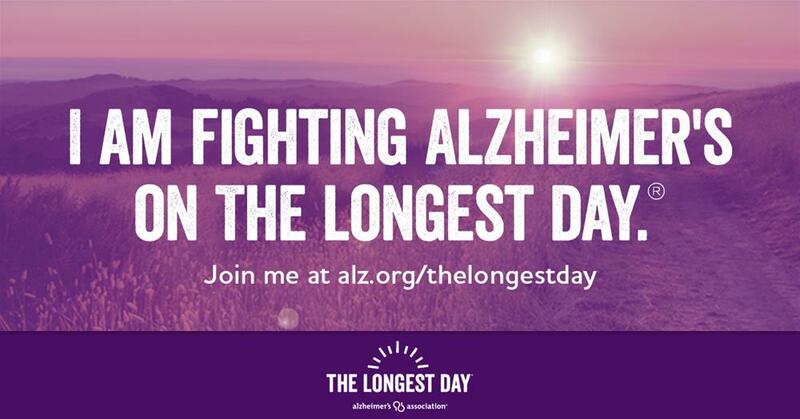 The Alzheimer's Association event "The Longest Day" is a DIY fundraiser event where participants can choose an activity of their choice to do. The event takes place on June 21, 2019, but does not limit itself only to this day, but instead could be any day of this week! This event happens yearly, on the longest day of the year, known as the summer solstice. The event website is act.alz.org/TLD and provides ample information about the event details. It is free to register, and you can set a fundraising goal for your team as well. It is an event that anyone of any age can participate in, while doing an activity that they love. This event helps to raise funds for further research into this disease, as well as awareness throughout the community. In Alabama alone, there are more than 92,000 people living with this disease, and about 304,000 family members and friends providing care. On the Longest Day, be the light that helps to outshine the darkness of Alzheimer's.